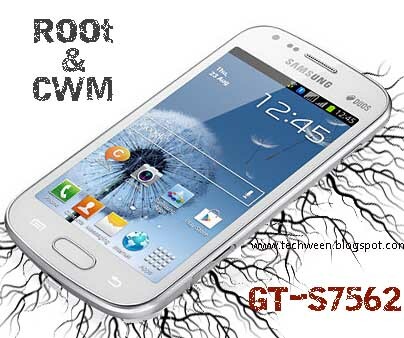 Here is a tutorial on how to Root the Samsung Galaxy S Duos S7562, so that it’s users could easily root your Smartphone just at sitting home, with no expense at all. As the phone features a long list of capabilities including it’s Dual SIM functionality is making it a huge success in the Android World. Now as you might be knowing Rooting the phone will enchance the specs and probably give you the full control over the device. So lets start with the tutorial. Well before you actually start rooting the device , there are some requirements that have to be met and they are as follows. Ensuring that the device has at least 60% battery , so that your phone must not die in between the process. Drivers of the Samsung Galaxy S Duos are installed on it. Get them here. Download Odin & set it up on your computer. Backup all your Data , that is important for you , as it might get lost , due to some failures in the process. 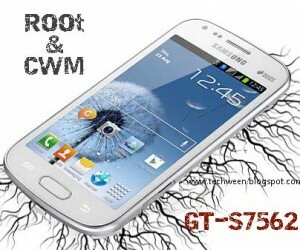 Get the Rooting kit file for your Galaxy S Duos. Enter the phone into Download Mode by turning it off and after that pushing the Power + Home + Volume Down buttons at the same time. Start Oldin in your PC , and connect the phone to it , using USB. Make sure the boxes namely F. Reset Time, Auto Reboot, PDA are checked. Just click on the PDA file and select the .tar file that you got on extraction of downloaded file at the beginning. The Oldin soft. will proceed and do everything on it’s own , and your device will get restarted as soon as the process is completed. Open the folder in which you extracted the rooting kit and just paste “CWM-superuser-3.1.3.zip” in your memory card. Enter the device into the recovery mode. You can do this by pressing (Volume Up+ Volume Down + Power + Home) buttons at the same time. Now install zip from memory card , and just click on the file you pasted earlier into the memory cars,tap on yes to start the process. Wait for the time , and let the process to complete. Wonderful article, keep sharing such wonderful articles ! what do you mean “.tar”? i don’t understand. where can i get the “.tar”? NIce and well explained, making androids more usable, for windows, check my blog. blog’s content daily along with a mug of coffee.